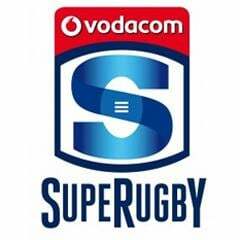 Cape Town - Sport24 highlights 5 talking points after the fifth weekend's action of Super Rugby. It’s fair to say the Lions were beaten by a better team when they went down to the Crusaders in Christchurch on Saturday. However, a 34-6 scoreline perhaps flattered the hosts a wee bit. When Lions tighthead prop Julian Redelinghuys received a yellow card in the 50th minute, the Crusaders cashed in on their numerical advantage to close out the game. The match was in the balance at 13-6, but by the time the Lions were back to their full complement of 15 players, the scoreline read 27-6. Pundits agreed that the yellow card was debatable at best and it clearly put pay to any hopes the Lions harboured of claiming an upset win. Referees must be careful when wilfully dishing out yellow cards, as it has the potential to ruin a decent spectacle. The Stormers brains trust got their tactics badly wrong against the Chiefs on Saturday. After completely destroying the men from Waikato at scrum time, the two main destroyers in chief - Vincent Koch and Steven Kitshoff - were replaced in the 61st minute. It allowed the Chiefs to breathe in that department and they cashed in, claiming a 28-19 win. The tactical game of the home side also needs to be questioned. On countless occasions, they played to the Chiefs’ strengths by simply kicking the ball straight back at them, inviting their dangerous outside backs to wreak havoc with counter-attacks. Skipper Duane Vermeulen’s decision not to take three points late in the game must also be questioned. First get within seven and then go for the win! In the end, they had to settle for nothing, after at one stage seemingly looking in control at 13-3 ahead. The Cheetahs may have been beaten badly by the Sharks at home this past weekend, but the return of flank Heinrich Brussow would have pleased many a rugby enthusiast. Brussow missed the Cheetahs' first three games after returning from his club duties in Japan with concussion. He played for 31 minutes in his side's 27-10 loss, and was his usual menacing self. 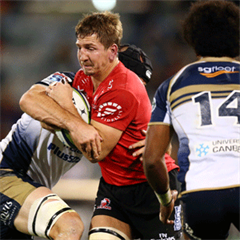 According to the Vodacom Rugby Stats App, Brussow made three turnovers, beat as many defenders with ball in hand and completed two tackles. Highlanders right wing Waisake Naholo scored arguably the try of the season to date during his side's 26-19 win over the defending champion Waratahs in Dunedin. The Waratahs were leading 12-7 shortly before half-time, and attacking near the Highlanders 22m area, when incredible offensive defence from Highlanders centre Malakai Fekitoa set up what could become one of the tries of the competition. Fekitoa, attempting to tackle dangerous Waratahs fullback Israel Folau, not only stopped the Wallaby No 15, but ripped the ball out of Folau's grasp, before off-loading to Naholo, who sprinted more than 60m up-field to score under the posts. What a try!